Welcome to Siesta Lawn Care, Fort Collins Top Lawn Care Company! 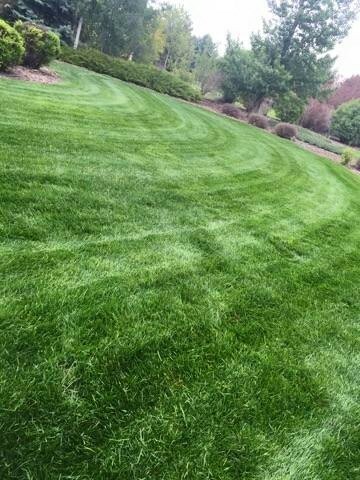 Our passion is mowing, trimming, aerating, cleaning up, and maintaining Residential and Commercial Lawns in Fort Collins, and Windsor. Your Lawn is the most important thing to us, and we want to make it look great so you say 'Wow' when you look, your neighbor, your Mom, your Aunt, and your Dog look at it. What do you look for in a great Fort Collins Lawn Care Company? Do you look for great customer service? Professional Lawn Care Maintenance at a great price? A Lawn Care Company that is easy to work with and always has your best interests in mind? Then you've found the right company in Siesta Lawn Care. Siesta Lawn Care is owned and operated by lifelong Fort Collins native Gee Hernandez. Gee and his fantastic crew have made it their mission to provide the very best lawn care service to all of our clients. Our communication is very important to us, and making sure that you are getting the service that you asked and paid for is at the top of our list. There are quite a few Lawn Care Companies in Fort Collins that you can choose from, who all offer roughly the same service. At the end of the day, you are paying for who you like and who you want to work with. We are confident that you will love the lawn mowing service that you will get from Siesta Lawn Care, and you will love the price that we offer. 1. Siesta has the best Lawn Care equipment and tools in Fort Collins. Our Mowers, Trimmers, and Edgers are top of the line, and we maintain them meticulously. If anything breaks, we work diligently to fix it as soon as possible so we can offer you the very best Lawn Mowing Service in Fort Collins. 2. We have been in the landscaping, lawn mowing and trimming business for over 2 decades. Gee has been running a Lawn Mowing Service in Northern Colorado since he was about 22 years old, and has been perfecting the craft for a very long time. 3. Our Lawn Care services are very affordable. Our regular clients rave about our prices because we are not trying to gouge. We charge for the service that you are getting, and don't add any additional taxes or surcharges that you won't be aware of. When you call us, one of our professional Fort Collins Lawn Care technicians will come out and give you a professional bid for our services. You will not be charged any more than you are quoted for that specific service. Once that service is completed, the billing process is easy and painless. 4. We offer a wide variety of fantastic Lawn Care Services for you and your Fort Collins family or business to choose from. We have worked with residents and businesses for a very long time, mowing lawns at their homes, commercial offices, and places of business. We have formerly worked with New Belgium Brewery, The City of Fort Collins, and many other businesses in Northern Colorado. What about the amazing Lawn Care Services that we offer here in Fort Collins and Windsor? See our services below, and give us a call at 970-690-3584 if you would like to get a free quote or schedule any of these services. If you are looking for Lawn Care Services that you don't see on the list below, just give us a call or complete the quote form and we will get back to you. -Lawn Care Services. Your grass is our passion. We want to make it look perfect every single time we put our mowers on it, and step foot on it. We perform your lawn mowing quickly and efficiently, while taking the great care to make sure that your lawn is mowed just the way you want it to be. -Weekly Mowing and Trimming. 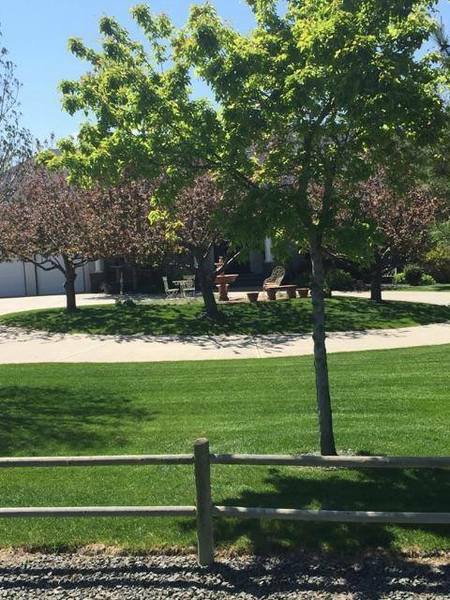 Our Fort Collins Weekly Lawn Mowing and Trimming service is our most popular service. Why take your own time to mow your lawn, when we can get it done faster, saving you the necessary time to spend with your family and kids. What is your time worth? We want to create more free time for you to do the things that you want. ​-Power Raking. Power Raking in Fort Collins, Colorado should be done no later than May 1st, to help your lawn prepare for receiving fertilizer and watering. Power Raking promotes a thicker, healthier lawn that will last a long time. Power Raking assists in deep thatch removal, while keeping a little bit of thatch in your lawn for good health. We normally perform Power Raking Services on every lawn in the spring along with turning on sprinklers. -Lawn Aeration. Aerating lawns can be done in the spring or fall, but in our opinion is best done in the spring before the growing season because of the benefits it can give your lawn. What are those benefits? Aerating your lawn is great for root growth, allowing water to get deep down into the roots, and allows air to get where it needs to be in the roots of your grass. Before aerating, simply locate the sprinkler heads in your sprinkler system, and we will avoid those with our aerating machine. -Mulching. There are so many different kinds of mulch that you can put in your garden, around your flowers, or under your trees. What are some of the benefits of mulching? Mulching can help keep moisture longer within your plants, it can keep weeds from growing big and strong outside of the mulch beds, and it can help plants maintain moisture and nutrients by holding in the water from sprinklers. -Rock Work. We will clean your current pea gravel, or rock that you have at your home or commercial property, and add more rock to make your xenoscaping look extra good this year. Adding more Rock to your property eliminates the need for supplemental watering outside the scope of your Sprinkler system. You won’t have to worry about any grass growing where your rock is located, and we will lay any new rock for you in your yard. -Yard Cleanups. 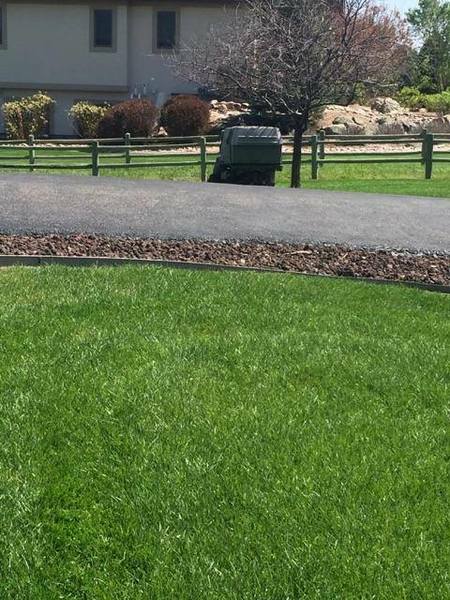 One of our most requested services in Fort Collins is Spring and Fall Yard Cleanups. Just imagine your 65 foot Cottonwood dumping all those leaves all over your lawn, which you have absolutely no time to pick up and take to the dump. You give us at Siesta Lawn Care a call, we come over and clean everything up, and your lawn looks extra good by the time you get home from work. How do we Clean up your Fort Collins Yard so quickly? Magic (Actually, we have a crew of about 5 guys that come over and do the dirty work, but who’s counting?). -Snow Removal. We have been providing Snow Removal in the City of Fort Collins for over a decade. We have a few trucks and ATV’s, along with some very willing workers to carry a shovel and put their backs into getting that snow off your driveway and sidewalks. We offer Commercial Snow Removal, and Residential Snow Removal for the cities of Fort Collins and Windsor, CO. When it snows, you call us. We remove the snow. Pretty Easy. 970-690-3584. Here at Siesta Lawn Care, we care immensely about our clients and their lawns. Whether it’s their grass or the area around it, we want the exterior of your home or business to look so good that you would not mind sleeping in your grass. Whether it’s a simple lawn mowing or a complicated Yard Clean up, we want to be of assistance to you, your family, and your business. Give Siesta Lawn Care a call today at 970-690-3584, or complete the quote form on this website. We will get back to you as soon as we can, and give you a free no obligation quote on the services that you need.